At Mobify, we recently analyzed data from more than 200 million visitors to our e-commerce customers’ sites, and found that 27% of site visits came from people shopping on smartphones and tablets. For some countries, such as Brazil, we found that nearly half of all e-commerce traffic came through mobile devices. It’s now a reality that every company and publisher on the web needs a mobile web strategy. 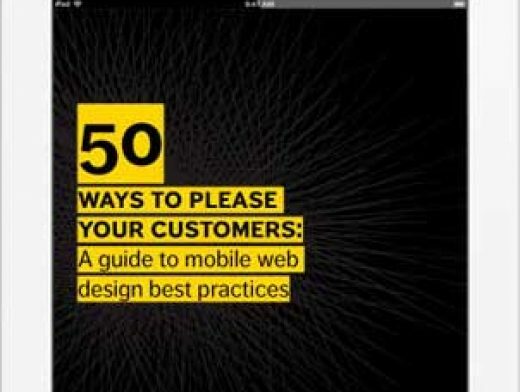 We wrote an e-book on how to build a great mobile site, and here are nine tips from the book for optimizing your site for all those mobile site visitors.